Known as 'The Marvellous City', Rio is effortlessly cool and you can’t help but feel like an A-lister whilst walking its streets. Start your day as you mean to go on, by heading to a neighbourhood juice bar and ordering yourself some form of açaí beverage. This Amazonian berry has a unique taste, gritty texture and can be ordered as a juice, sorbet or milkshake in most juice bars. The first time I tried it I didn’t like it, but I soon became hooked. There really is nothing to compare it to! Once you’ve had your fruit fix, get out there and discover everything the city has to offer. It’s easy to explore certain areas on foot, but Rio is quite large and you will need to make use of its excellent transport links to see everything. The local busses are easy to use and if you ask the bus driver, he will let you know when to get off. There is also a fantastic subway system, the main line of which runs between Copacabana and Sáenz Peña. The popular beaches of Ipanema and Leblon are both within walking distance of Copacabana station, albeit a rather long walk. I found Rio’s public transport very reliable, but do keep an eye on your bags – pickpocketing is rife, especially on the buses. 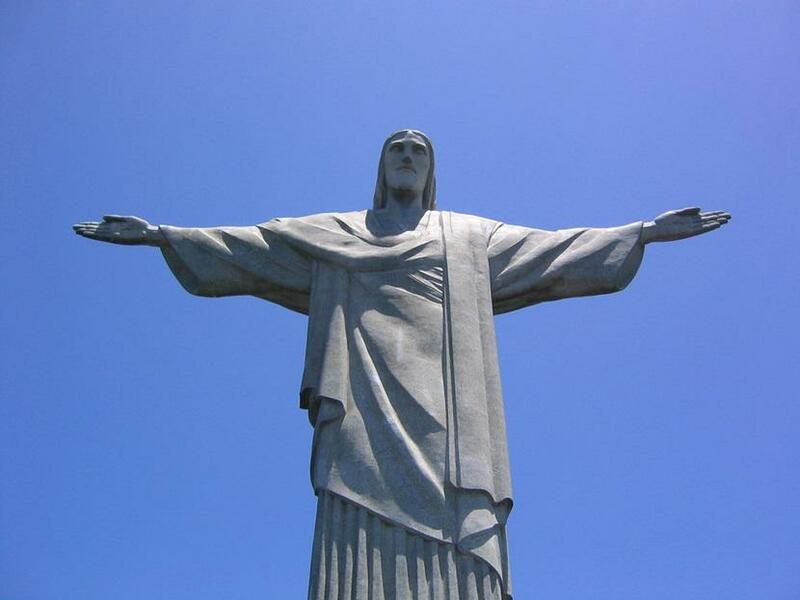 Christ the Redeemer – Take the cog train up Corcovado to get up close to the iconic statue that overlooks the city. 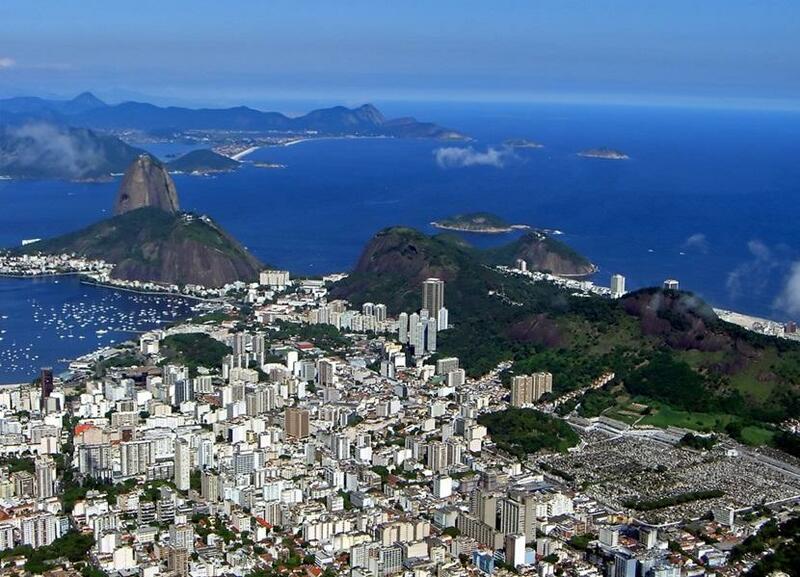 It’s hard to decide which view is better, the one from Sugarloaf or the one from the top of Corcovado. Sugarloaf Mountain – Take the cable car up to the top of Pão de Açúcar and admire the view of what has to be the world’s most beautiful city. Be sure to choose a clear, sunny day and aim to avoid the tour buses that tend to arrive between 10am and 3pm. Beaches – Copacabana is arguably Rio’s most famous and beautiful beach, so where better to kick back and crack open a coconut! 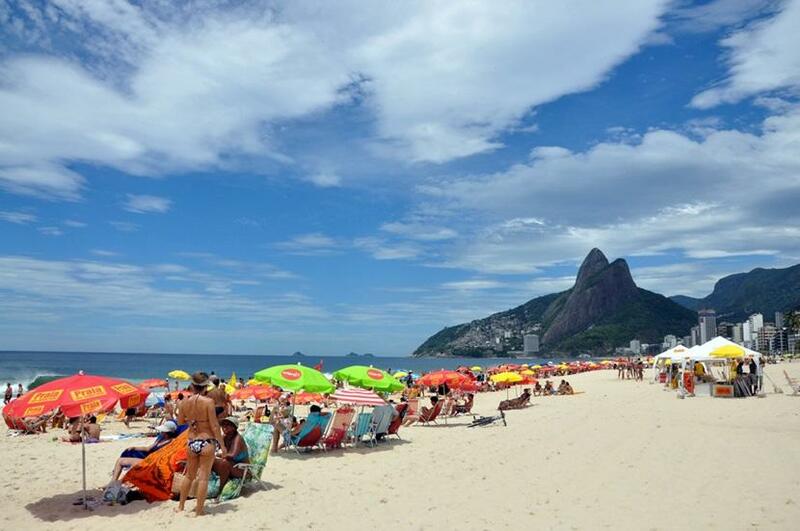 Head a little further south and you’ll hit the beaches of Ipanema and Leblon. Here you will find the wealthiest and most beautiful of the Cariocas. Favelas – These shanty towns line the hillsides that flank the city and have long had a reputation for throwing incredible parties. A favela tour or party is easy to arrange locally in most hostels, but be sure to go with an experienced and knowledgeable local guide. Just off Brazil’s Costa Verde, Ilha Grande is a tropical paradise. If you thought Rio’s beaches were good then this island will blow you away. In former years the island was used as a pirate’s lair, a leper colony, and most recently as a prison for the criminally insane. Thus, the usual high rise hotels you come to expect on an island of Ilha Grande’s size are noticeably absent. There are no real roads to speak of, just the occasional dirt track, and cars are strictly forbidden. The tiny village of Abraão is the only real settlement and has a handful of pousadas (guesthouses) and cafes dotted along its picturesque bay. 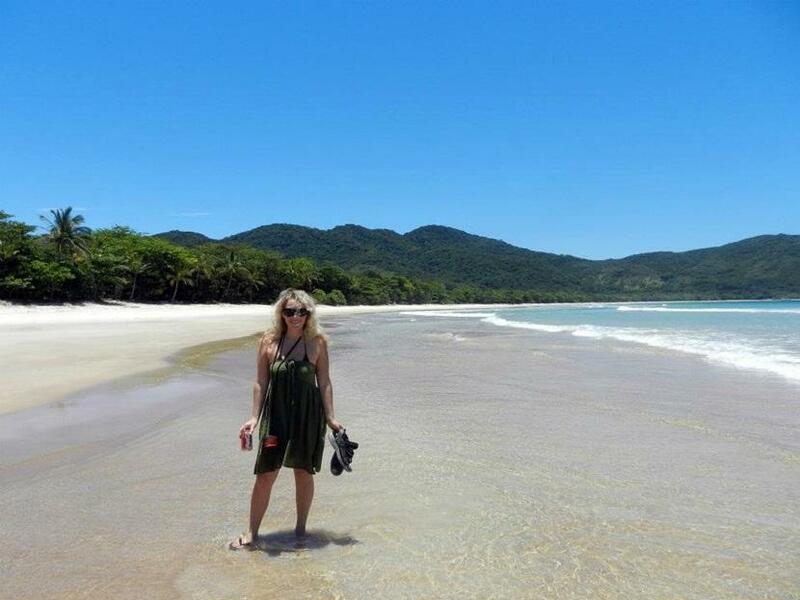 The rest of the island is dominated by pristine Atlantic rainforest, hidden waterfalls and beaches to die for! I recommend hiring out a kayak and exploring the bay close to Abraão – in just one hour I saw snakes, turtles and manta rays. Be sure to also do the three hour trek through the forest to Lopes Mendes. This spectacular beach is regarded as one of the most beautiful in the world and with good reason. Palm trees – tick. Crystal clear water – tick. Spotless, blinding-white sand – tick. What more do you need? Oh yes – a guy with a cool box selling a cold Coca Cola – tick. Lopes Mendes is pure paradise and, when I visited, there were fewer than 20 people to share the seemingly endless beach with. 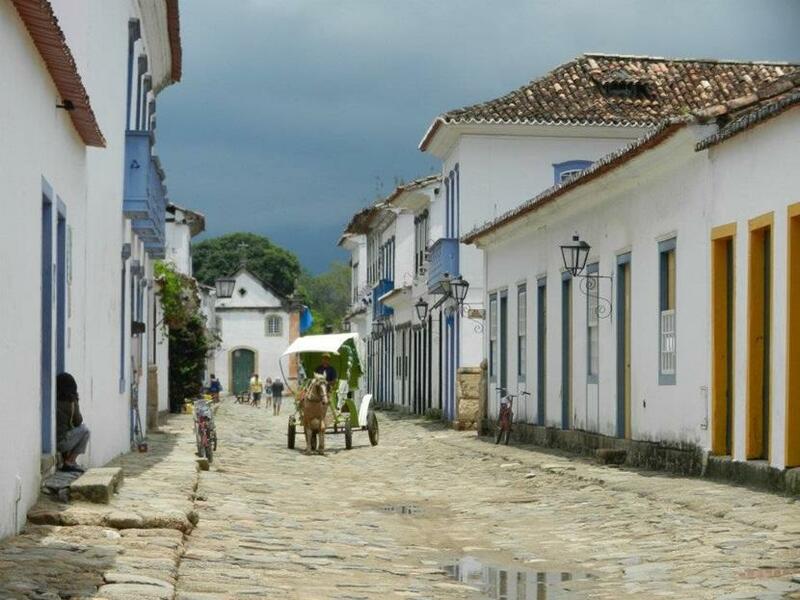 Pretty little Paraty was an unexpected highlight of my trip to Brazil. Its cobblestone streets are lined with arty cafes, baroque churches and old fashioned galleries. The historic town is so photogenic you’ll find it hard to put down your camera. Horse drawn carts navigate the streets with ease, but treading the cobbles on foot is not quite so plain-sailing. Their irregular size makes it all too easy to topple over. There are numerous tropical islands and beaches just a short bus or boat ride away, all of which can be booked locally. However, if you are just looking to chill out and take a few days to relax, then pottering about Paraty town with no particular plans will tick the box..
One of the natural wonders of the world, Iguaçu Falls must be seen to be believed. 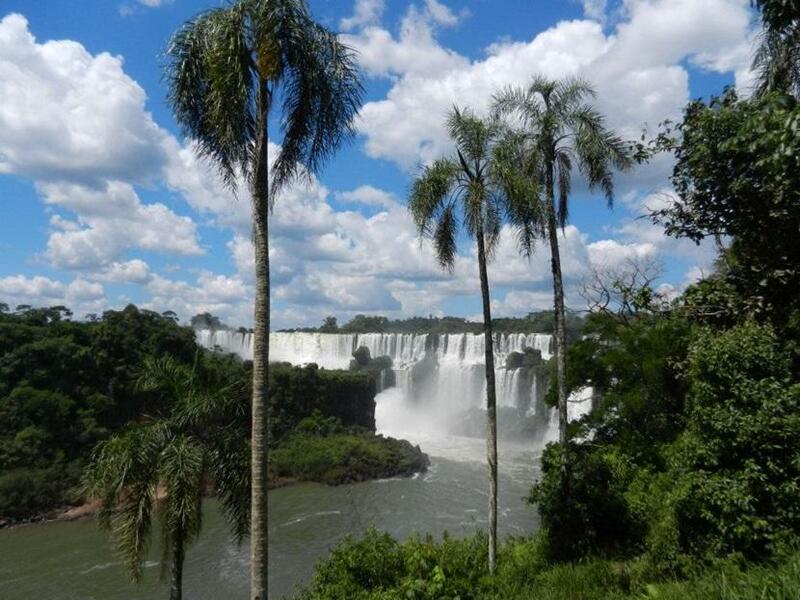 Surrounded by lush, tropical rainforest, the Falls mark the point at which the Iguazu River pours over the Paraná plateau, thereby dividing into the upper and lower Iguazu. The presence of numerous islands results in the formation of several cataracts (waterfalls) which, depending on water levels, can number between 150 and 300. Together these make up the thunderous Iguaçu Falls. The Iguazu River forms a natural border between Argentina and Brazil, and the majority of the cascades belong to the former. Argentina may therefore claim to have the waterfall, but Brazil has the view. As a British citizen it is very easy to cross the border, allowing you to visit both sides. Start off on the Brazilian side and take the boardwalk over the river to the heart of Garganta do Diabo (Devil’s Throat), a narrow chasm into which around half of the river’s flow tumbles. Even the most egotistical among us couldn’t help but feel small and inconsequential here. The roar of the Falls is deafening and the force of the water is awe-inspiring, drenching anybody and everybody in the vicinity. Allow a few hours to explore the Brazilian side, but ideally an entire day for the Argentinian side. 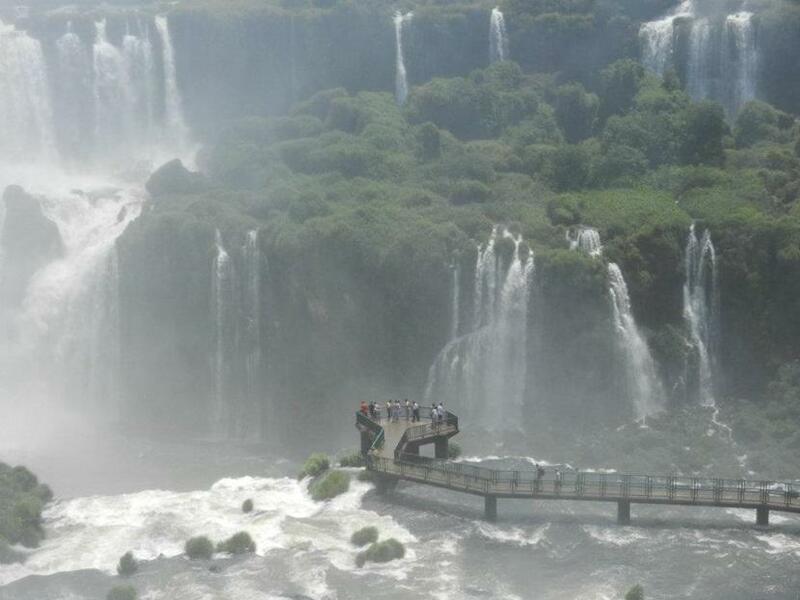 In Argentina you can take a tiny train to the board walk leading to the top of Devil’s Throat, walk numerous trails to discover several of the smaller cataracts and even hop on a boat to the heart of the Falls itself. I’ve seen spectacular waterfalls throughout my travels in Asia, Africa and Australasia but nothing comes close to Iguaçu. 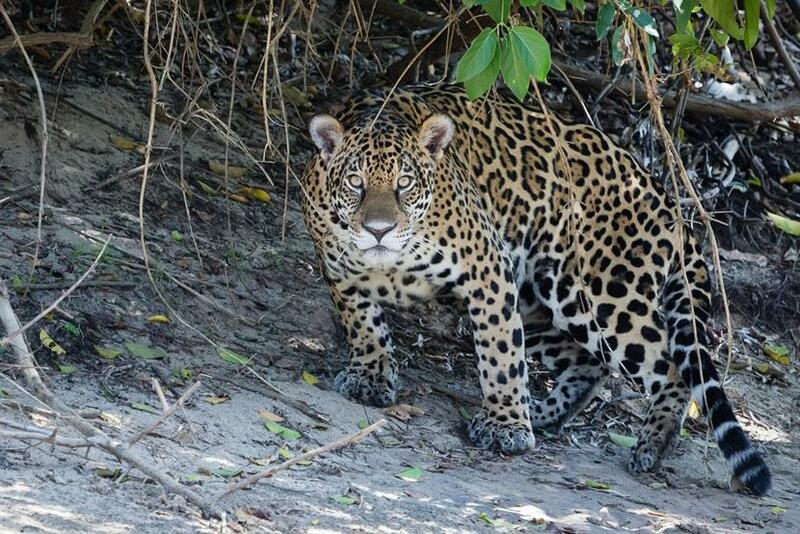 Travellers flock to Brazil’s Amazon rainforest expecting to find an abundance of sloths in the trees, macaws flying overhead and the occasional jaguar lurking on the river bank. Whilst certainly these animals are present, spotting them in amongst the dense foliage is incredibly difficult. In contrast, the vast, open spaces of Brazil’s lesser known Pantanal offer fabulous wildlife viewing opportunities for the nature enthusiast. One of the world’s largest tropical wetland areas, the Pantanal is home to capybara, anaconda, tamandua, caiman, giant anteaters, tapirs, giant river otters and jaguars to name but a few. The Pantanal is spectacular at any time of year, but during the rainy season around 80% of the flood plains are submerged. The best time to visit is during the dry season which runs from April to October. Bird watching is at its best between July and September, whilst the driest months of September and October are the time at which you are most likely to catch a glimpse of the elusive jaguar. In short, Brazil is an incredible country with a hell of a lot to offer the adventurous traveller. The language can be hard to get your head around, but the people are the friendliest I have come across and go out of their way to help you. So when the England team makes their inevitable early exit, don’t be too disheartened – there are plenty of things to do in Brazil that will keep you occupied. And if, by some miracle, we make it to the final or (my god) even win; there is no better place in which to party. I hope you found this blog useful. I’d love to hear your feedback. 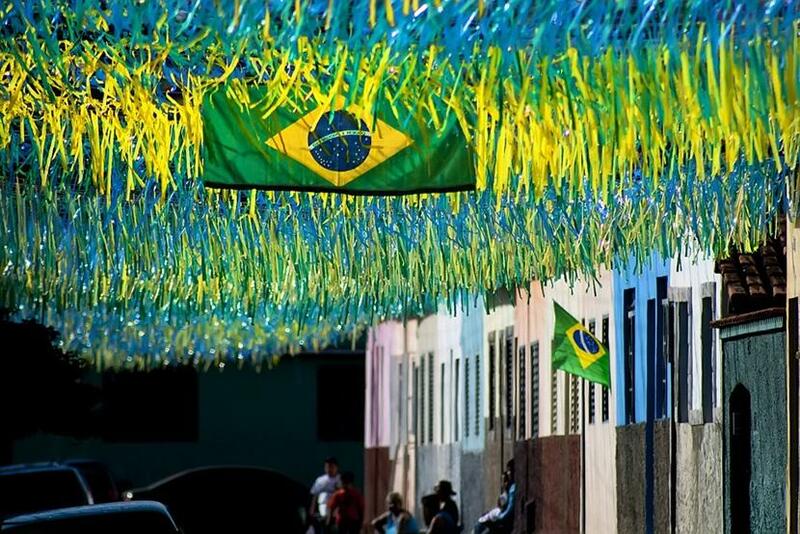 Have you got some good tips for readers regarding things to do in Brazil? Are you planning a trip there? Do you think England has a chance? Please leave your comments below.